I Love Spring, do you? That promise of growth, Newness…sunshine (if we are lucky). I think it is a great time to have a clear out and clean up. For me this also includes my beauty routine, Lighter, brighter make up, perfume and skincare. Gone are the heavier darker colours, textures and scents and everything just seems brighter and more optimistic. I think i make a point of adjusting my skincare regime as my skin changes throughout the seasons, so it makes sense. The heavier day and night creams move over for lighter formulations, my SPF steps up a gear as does my need to start cheekily adding some faux colour onto my body. 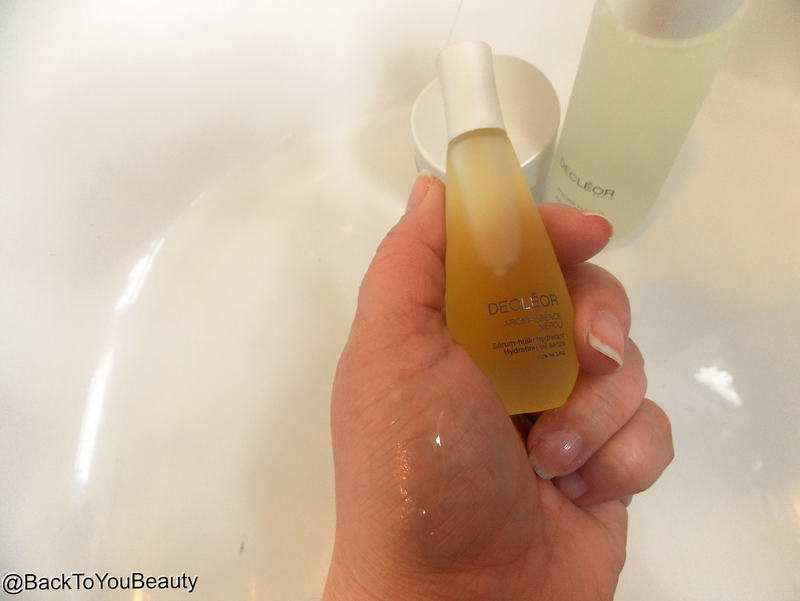 Having gone for a beautiful Decleor treatment last week which you can read HERE, it was a lovely kick-start to discover what my skin really needed. 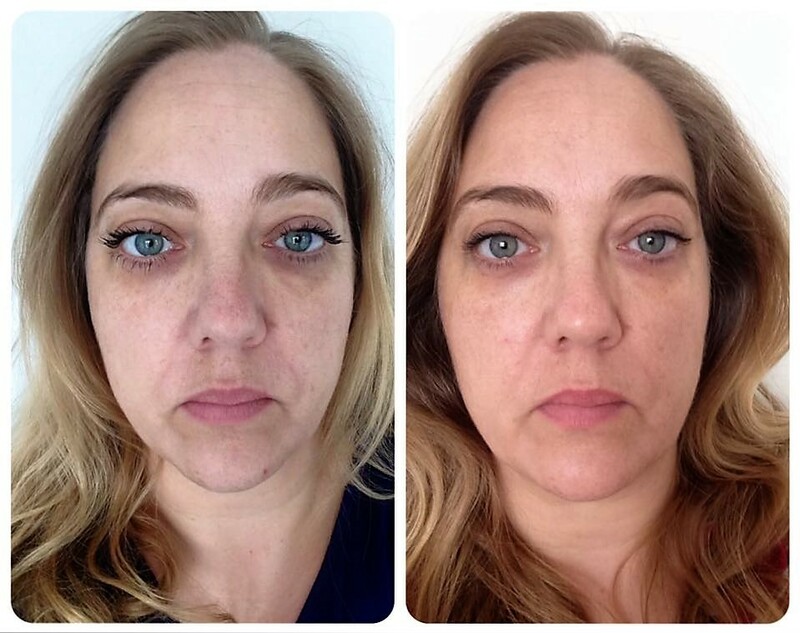 Although my Collagen was great, lack of wrinkles was great, i still had really dehydrated skin, showing as horizontal lines across my face. This next collection i will be sharing with you is absolutely perfect for addressing these issues. 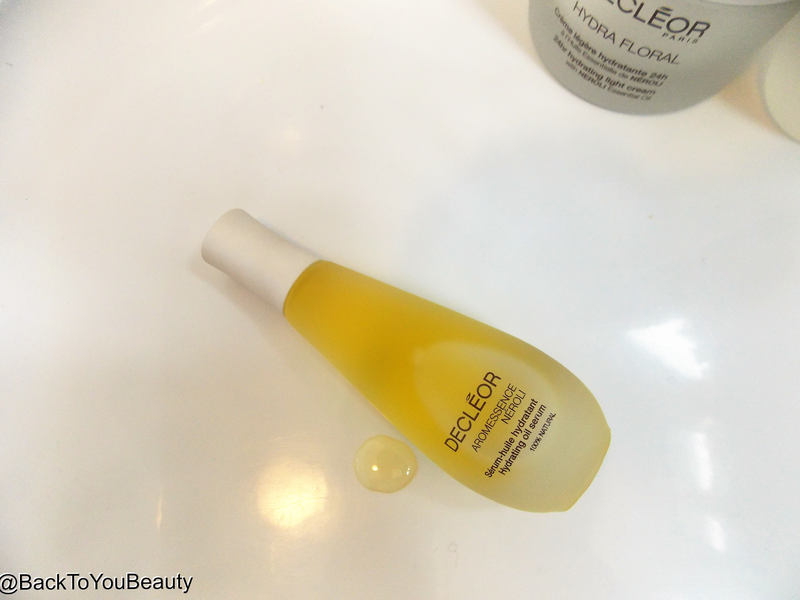 Dehydrated, thirsty skin care, but with light, easy to use formulas from Decleor. Perfect. Aromessence Neroli 15ml – This Multi award winning oil serum can be used successfully for all skin types! It can help balance out oily and combination skin and deeply hydrates thirsty skin, tired looking skin or skin that needs a little….oomph! This 100% naturally derived oil contains Neroli Oil, which helps to push other ingredients deeper into the skin, Parsley which is great for evening out pigmentation marks and Sage which stimulates, tightens and smooths the skin. Described as having a light floral scent, i actually pick up the herbs every-time so i would love to know what you smell? To me this is “Spa” this is the scent of Decleor! When i walk into any salon it is this that i smell and i think it is beautiful. After cleansing and before moisturising i use three drops of the Aromessence Neroli and warm gently in my hands, breathe in the scent and massage over my face and neck. The urge at first is to use more, but you really do not need to! Although this is an Oil it is like a dry oil as it does not leave any slick or greasy residue behind. I find that it sinks in beautifully and my skin immediately feels hydrated. My skin suddenly looks brighter and has a luminous glow. Beautiful. Hydra Floral Anti-Pollution Hydrating Acvtive Lotion 100ml – This Brand New Product Launch is AMAZING!! 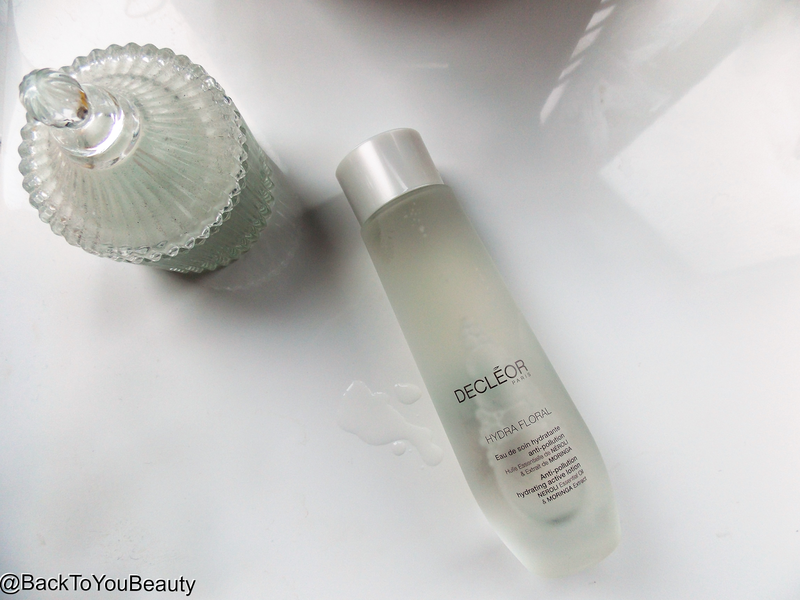 With the look and the feel of water, this “Dew” is power packed full of hyaluronic acid that deeply hydrates the skin! Containing Neroli Oil and Moringa Oleifera extract this active lotion acts as a protective layer to stop pollution entering the skin. If you are thinking well…do i need that? Then yes! This is so powerful at deeply hydrating the skin and acting just like a moisturiser, but you can use it before your moisturiser as an added boost. I love the feel of this on my skin as it is so cooling and hydrating and really plump’s out my skin effortlessly. I literally add a few drops into my hand – no need for cotton pads – and press over my face. This would be applied after your Aromessence and, if you still needed something extra ,before moisturiser. For me, with deeply dehydrated skin due to medication…this offers my skin an instant boost and much needed level of protection. It fits in beautifully within this collection and is such a great idea. Gorgeous light, uplifting citrus scent too! 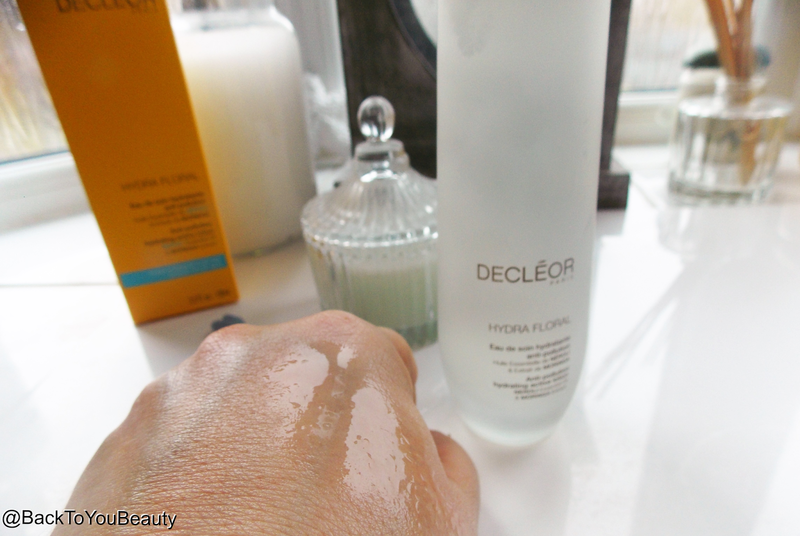 Hydra Floral Hydrating Light Cream 50ml – This was the first ever Decleor product i tried years and years ago and i was hooked… so was my mum…my sister and on it continued. I don’t think i have ever heard anyone say they dislike this Moisturiser. I think it is so delicately beautiful, absolutely perfect for spring and boosting some life into our perhaps, grey, dull skin. Hydra Floral uses innovative technology to mimic a plants ability to keep its flowers perfectly hydrated from dawn to dusk, therefore this light cream is able to hydrate for 24 hours. Now i usually always use a night cream, but when i change over to this i sometimes only add a tiny, if any , amount of night time balm or moisturiser to my evening routine. When you read the stats i think its easy to understand how 85% of women that trialled this product noticed their skin was softer and revitalised. I have to agree. You only need to use a tiny amount on the spatula as it easily spreads over the skin and nourishes it with plant botanical’s giving a deep level of hydration. Hydra Floral smells beautifully floral and is my second favourite Decleor scent only just beaten by the Aurabsolu scent HERE. I find it sinks in really quickly without any roll off and is a lovely base for my make up. I wouldn’t really suggest an age range on this product as it really depends on your skin. Most people at some time or other will suffer from dehydrated skin. I happily used it in my thirties and my mum does in her sixties, its more about your skin condition. If you have dehydrated skin, stressed skin, oily skin..any skin that needs a boost at this time of year then this could be great for you. and i have been incredibly unwell too!! I am thrilled with my results having used the products continuously over a period of 10 days so far. Now, i was very, very unwell during that time, so please forgive the unflattering photos, but, you know i stay true to my readers. I did apply the products throughout the day as well, as my skin was suffering more than usual. I am thrilled with the change in my skin in such a short space of time! The photos have not been edited or retouched, you can see clearer, brighter, more hydrated skin and i am so happy. Obviously results may vary depending on your skin, but i think it is a great start to “Spring Cleaning” my skin. Aroma Confort Gradual Glow 250ml – Drum roll……..this is when you know its spring!! I start to use my Gradual Glow from the end of March all the way through summer until about the end of October. This has been my secret for years and i remember writing about it in another Decleor collection last year HERE. I cannot and i repeat – cannot be without it, so much so that i have it in each size in comes in and about 5 bottles. This is one of my “cannot live without” products! Why do i love it so much? 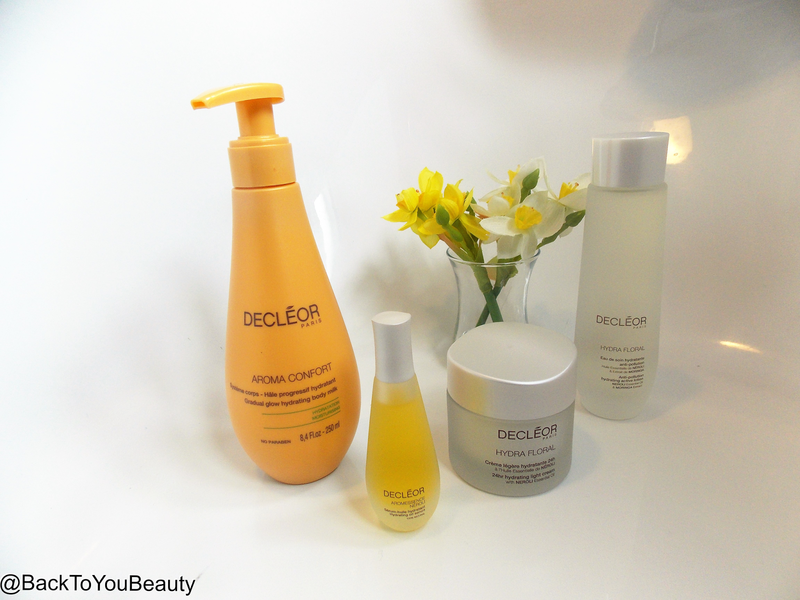 Well, firstly, if you have never heard of Decleor’s Gradual Glow let me just explain a little. Containing naturally active ingredients such as Magnolia Essential Oil, this body cream is wonderful at softening and protecting the skin from free radicals. Over and above all of the great ingredient’s i just love it because of how fabulous it makes my skin look!! I may be Sharon From Essex (go me!) but i most certainly do not want to look orange. I want a gradual, natural looking tan and every year without fail i get it using this product. I apply it on clean skin every other day instead of my moisturiser. It deeply hydrates and softens my skin and allows a really natural looking tan to form. I always make sure to wash my hands just so they don’t colour too, and that’s it really. I do a weekly full body exfoliation anyway which helps keep the tan looking natural but i never get any streaks or build up on dry areas. It is so easy. I don’t really notice to much of a smell although some people that i know that use it notice one, i just really enjoy using it. A great tip is to continue to use this over a tan if you go on holiday as it will even out your holiday colour and keep it looking gorgeous for a long time. The best thing about this product? You don’t have to stand around naked, looking like a starfish waiting for it to dry before you can dress. 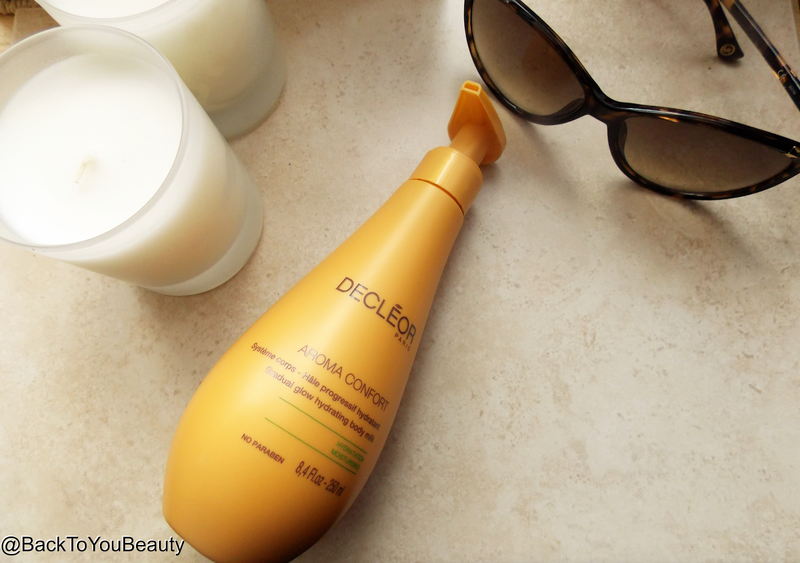 Aroma Confort Moisturising Body Milk 250ml – Another one of Decleor’s Hero products, this lightweight moisturising milk is perfect at hydrating the skin and improving the skins firmness and elasticity. Free from Parabens this milk is easy to use straight after bathing and sinks beautifully into the skin. I love this body milk because it is in a great pump top bottle rather than a squeezy tube and it sinks in quickly, meaning i can dress immediately after applying without my clothes feeling sticky. If you have dry, flaky skin this is lovely at giving skin that softness and a beautiful silky looking sheen. If you do not want any added colour but still want silky, hydrated, healthy looking skin, this is lovely. Great for all skin types. This collection is available on QVCUK now while stocks last. I do know that if bought separately the individual value would be £157.00. The Qvc price is £56.48 click HERE to purchase. 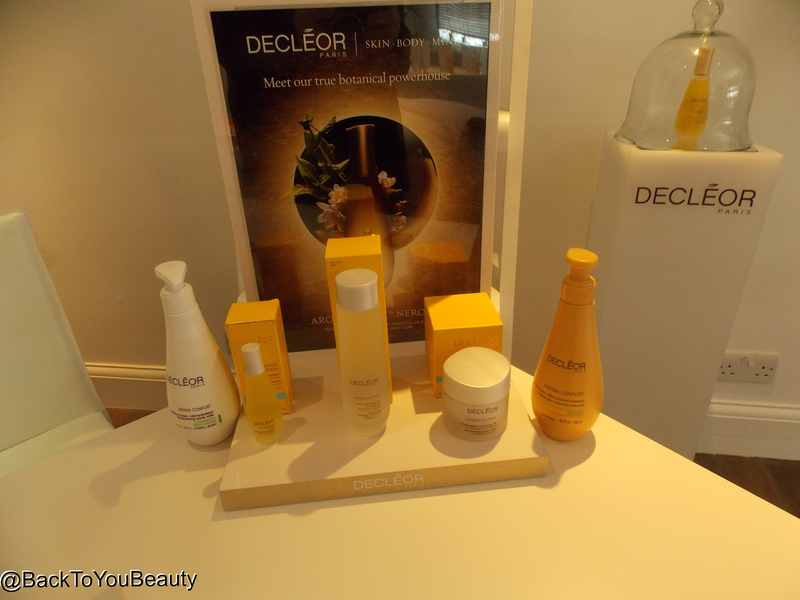 "Decleor Facial Treatment – The Kick-start i needed to healthier Spring Skin!" "Tarte Rainforest of the Sea hits the UK – New Launches, Spring Make up"
Thanks I enjoyed reading about this looking forward to the newbie, question please can you use the gradual glow on your face? I was thinking about doing that just a tiny amount though!